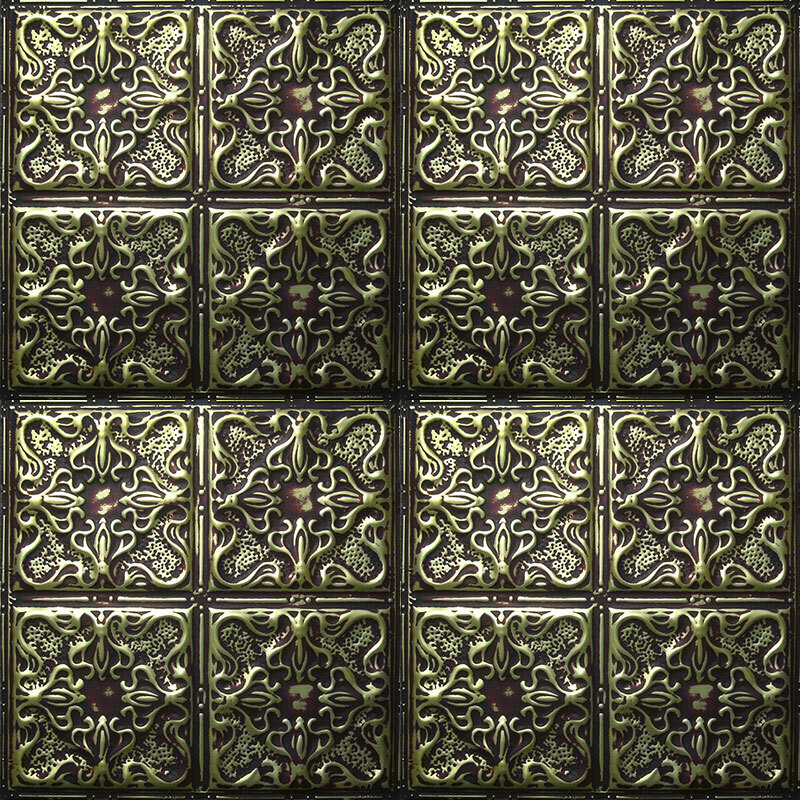 Our tin & metal ceiling tiles and panels can be finished by hand to create unique designs that will please the eye and the look can be whimsical, vintage, antique, modern or classic! Hand finishing techniques are used to create designs that are unique and appealing. We actually do not “paint” our tiles, instead, we powder coat our tin ceiling tiles with selected colors and then bake them in our oven that results in a permanent bond. After the powder coating, we use different finishes & techniques (by hand) to create intricate finishes that are reminiscent of the 1900s! We also manufacture accessories like molding, edging, switch plate covers, matching nails and other items that match the look and feel of our hand-faux products so you can achieve a uniform look to your project. Our cost calculator will help you estimate the number of tiles you may need for your project. Feel free to call us at 1-941-723-2288 if you want to place an order for a sample pack. We will be happy to answer any questions that you may have. 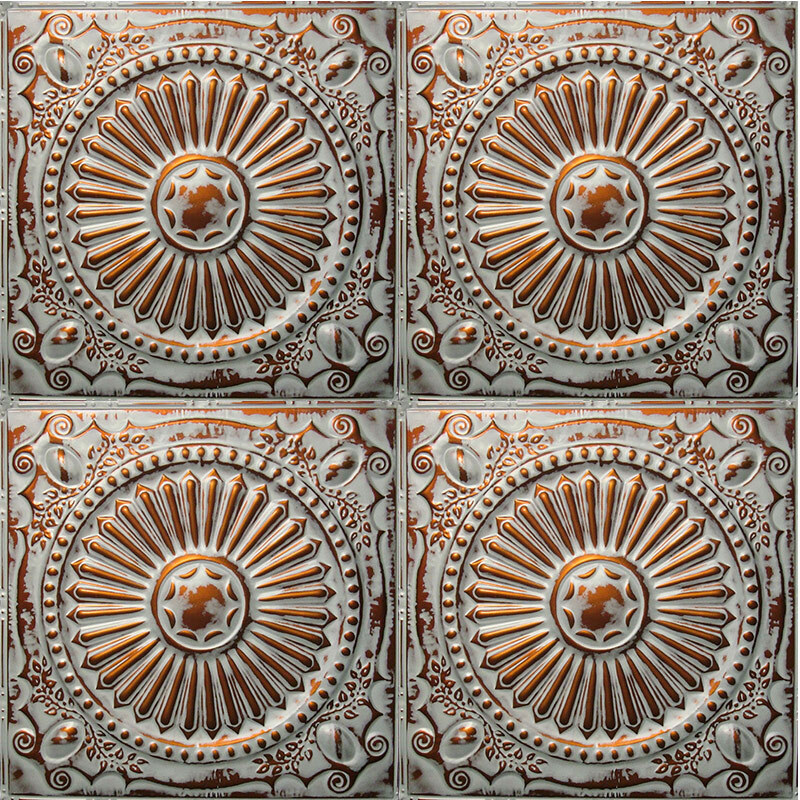 Remember, it’s easy to place an order for tiles directly on our website! Make sure you visit our blog. We regularly publish articles to help educate you about metal ceiling tiles, their history and uses.And don't forget to check us out on Facebook where we keep you updated about latest happenings at Metal Ceiling Express!